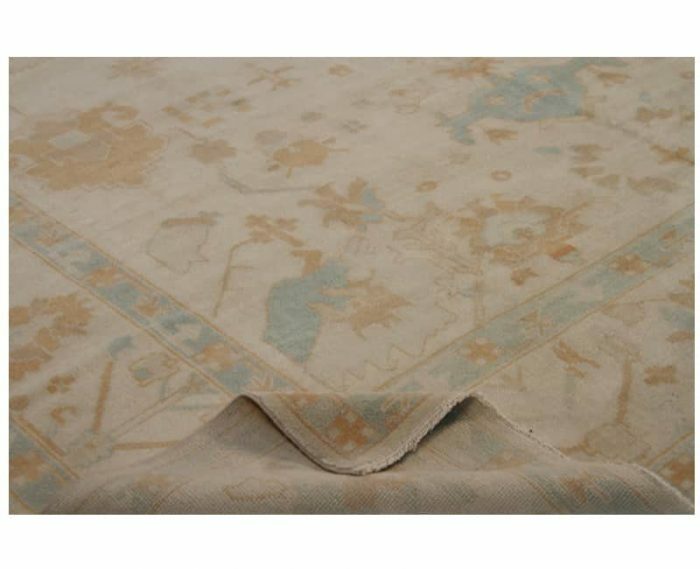 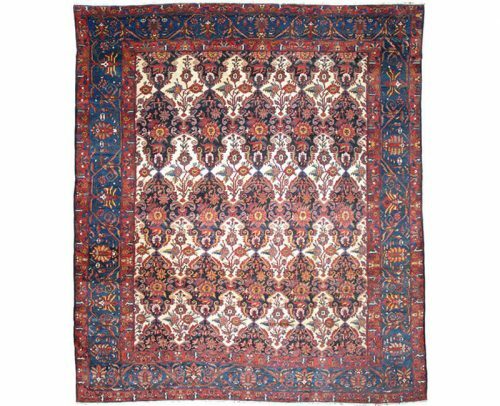 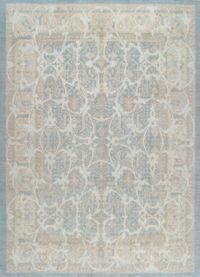 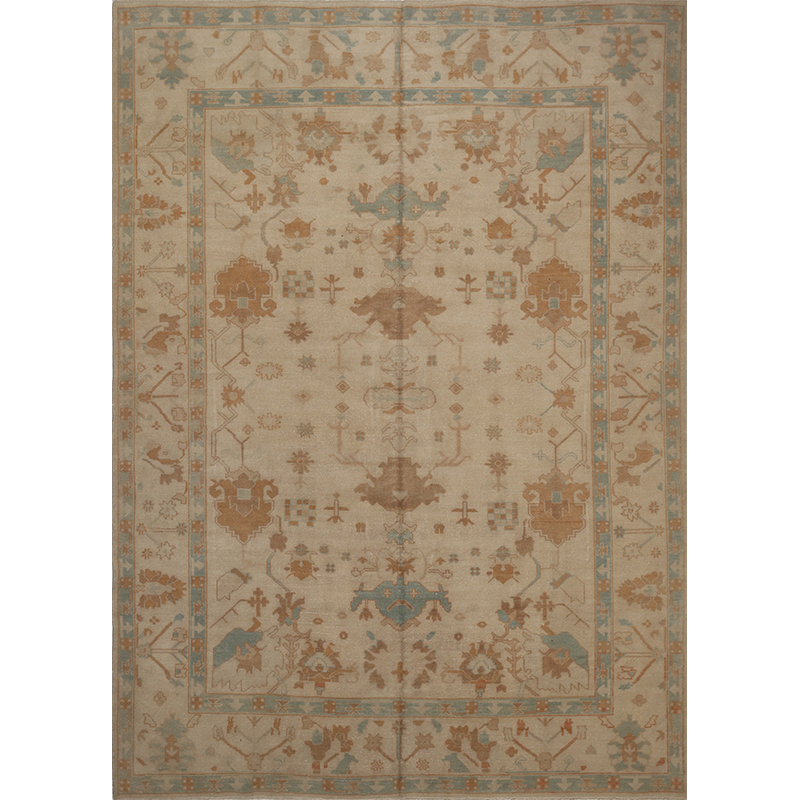 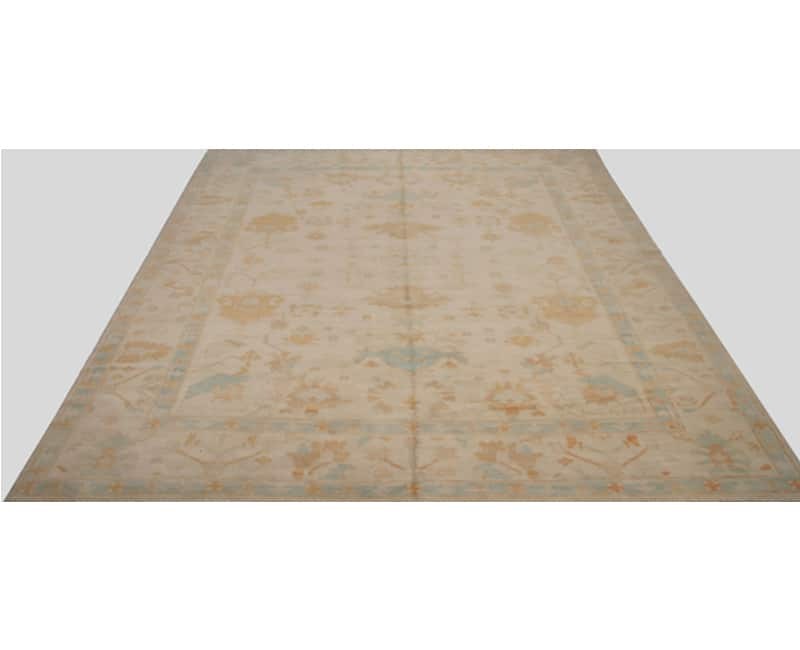 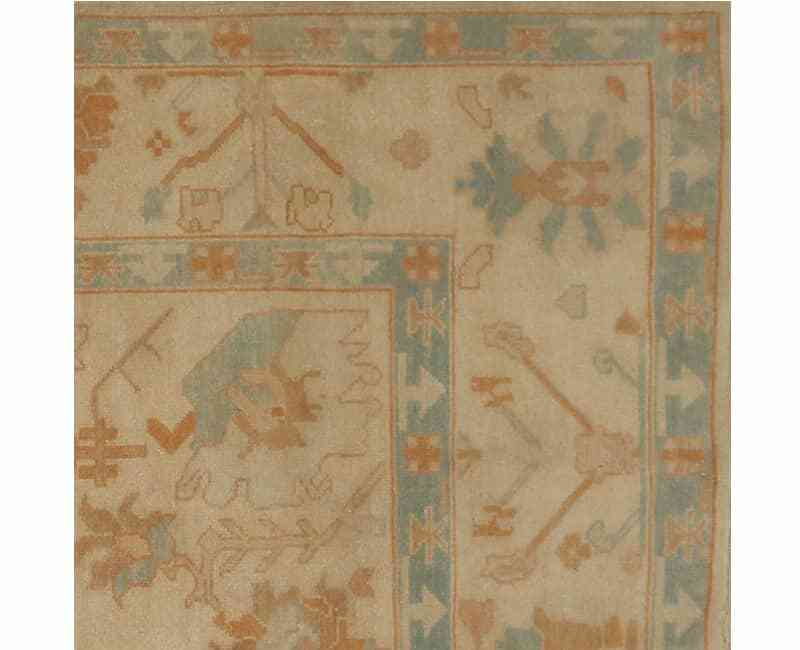 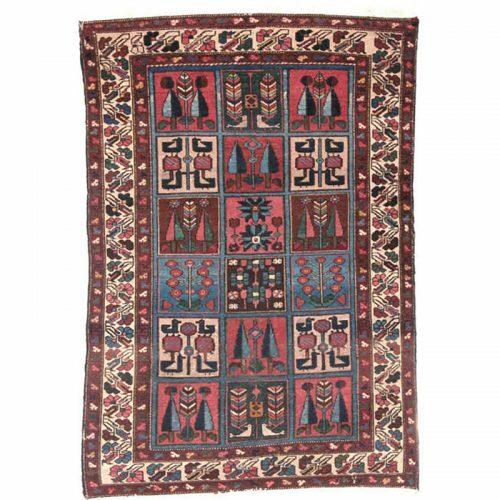 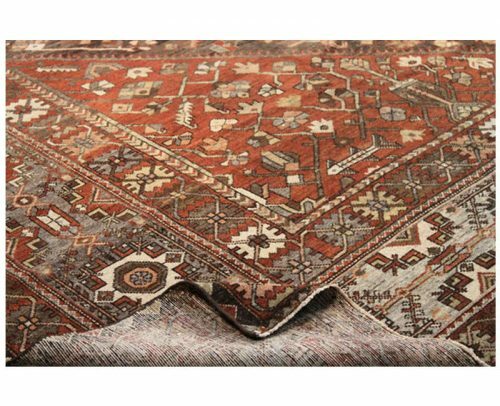 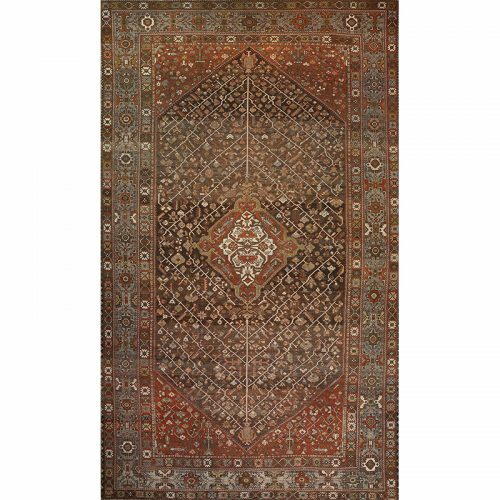 This traditional hand-woven Turkish Oushak rug features a recreated antique design. The elegant sand colored field contains an allover geometric botanical motif framed by a beautiful border of the same color. Accented in shades of teal, gold, amber, brown and taupe. 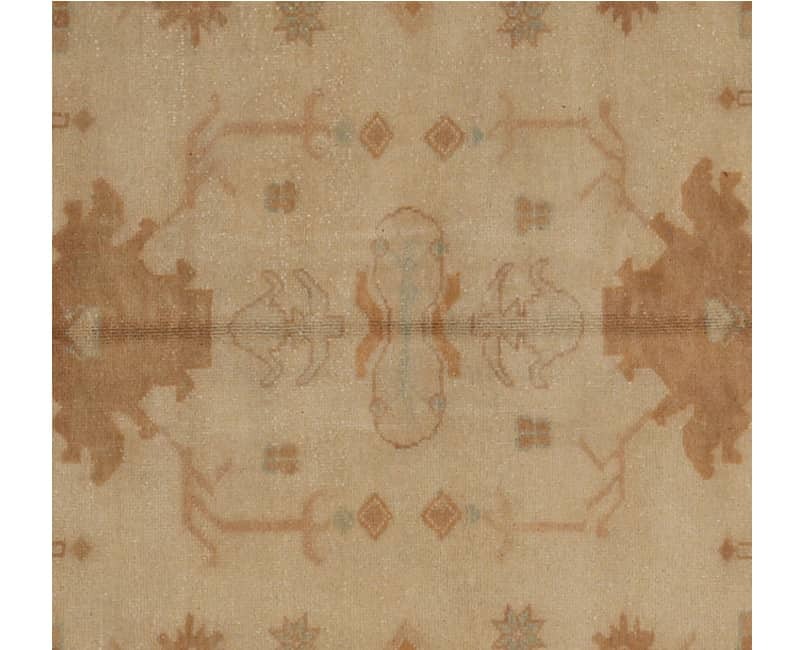 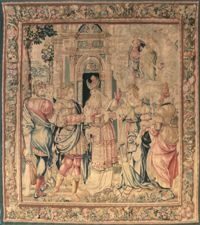 Created from 100% natural wool and cotton by the artisans of Turkey.